Environmental Station Alpha, from Arvi “Hempuli” Teikari, is a heavily Metroid-influenced title, featuring nonlinear exploration through a number of lo-fi pixelated environments. 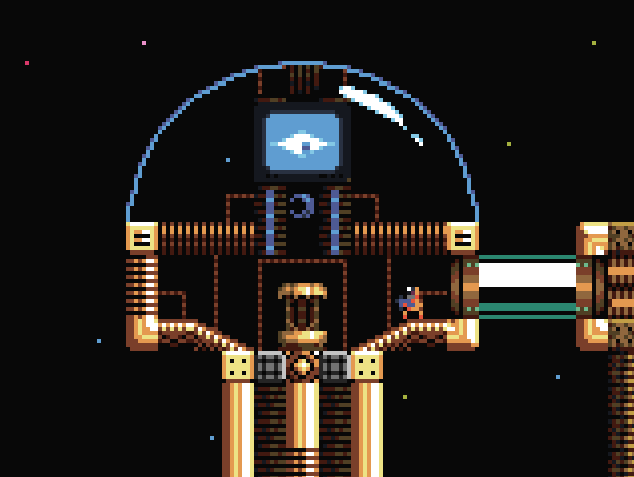 The player takes on the role of a robot who must explore Environmental Station Alpha, a station used to house natural environments and unique species as a means of preservation, but which was abandoned decades prior. A number of dangerous mechanisms and creatures await you, as well as no small number of bosses. Abilities include grappling, dashing, and underwater travel, as well as a number of weapon upgrades. Environmental Station Alpha is now available for PC and Mac via Steam, although there is no gamepad support on the Mac version, so dust off those pearly white keys.